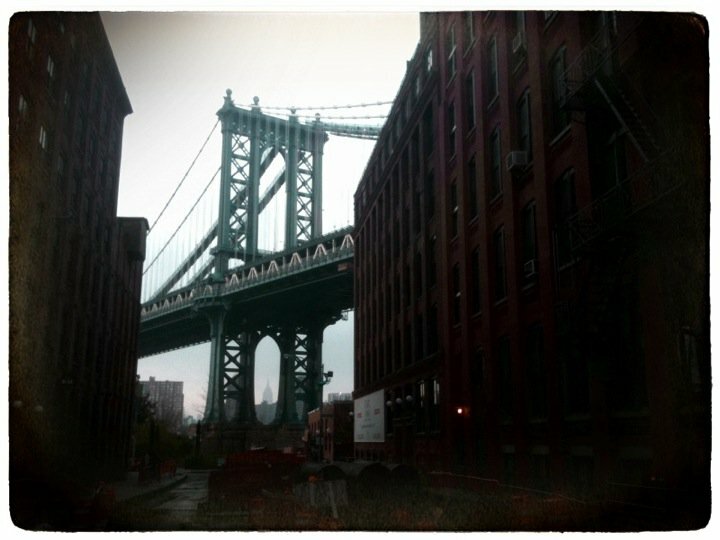 Two views of the DUMBO neighborhood in Brooklyn (Down Under Manhattan Bridge Overpass). From my iPhone, using lo-mob. For those of you from my home town area in Ohio, DUMBO is where the carousel that used to be in Idora Park in Youngstown is now in a warehouse building, painstakingly restored over the years by Jane Walentas, the wife of one of the major developers of the neighborhood. 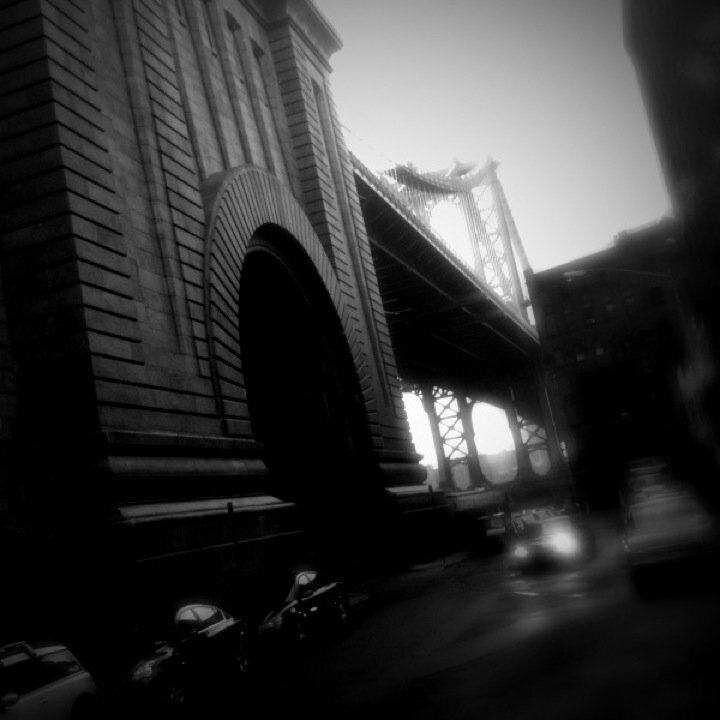 It will be placed in a new building in Brooklyn Bridge Park, potentially this summer. Can’t wait to ride it again. I was in DUMBO last night to see the re-staged National Theater of Scotland production of Black Watch, about a Scottish regiment — with a centuries-long tradition of fighting, dating back to Robert the Bruce — that was sent to Iraq to fight with U.S. Marines in Fallujah. An extraordinary piece of theater, with gripping language, song, sound and choreography that keeps up a breathtaking pace and packs an emotional wallop. So in NYC you can get home in the dark?